Our Boston medical malpractice attorneys are seeing a shift in the kinds of clients who seek legal help for mistakes caused by their cosmetic surgery/procedure providers. It’s in line with the trend recently reported by the American Society of Plastic Surgeons. Last year – for the first time in half a dozen years – the number of breast and buttocks augmentations are actually down, while facial surgeries, injections and laser procedures are on the upswing. Primarily, this is being attributed to the fact that cosmetic surgery patients are skewing older these days. A big part of this is the aging of the baby boom generation. People in their 50s and 60s are less likely to be interested in breast augmentations and more likely to be concerned with smoothing their facial wrinkles and fine lines. There is, of course, nothing wrong with this, and it’s a major confidence booster to many who undergo these procedures successfully. What’s troubling to us is that these “less invasive” procedures – namely injections and laser treatments – are being colored by providers as somehow being without significant risk. This is not true, and that kind of message is dangerous on two fronts. First of all, patients should be informed of all potential risks anytime they submit to a procedure, whether it’s elective or not. Secondly, regardless of whether a doctor has adequately informed you of the risks, you have a right to expect that he or she has the education, skills and appropriate tools to conduct the procedure without harm. Too frequently, that’s not what we’re seeing. Breast augmentations, which remain the most popular cosmetic surgery with about 285,000 women undergoing it last year, has actually dipped by about 7 percent. Buttocks augmentations, dropped by about 35 percent in the last year. But overall cosmetic procedures saw a 5 percent rise, with about 14.5 million people seeking out either surgery or injections or laser treatments last year. The latter of these are increasingly the norm, as a growing number of baby boomers are seeking out these kinds of services. Of course, we all know surgery has its risks – infections, hematoma, numbness, anesthesia complications, even death (though thankfully, that last one is fairly rare). One of the best ways to reduce that risk is to choose a surgeon who is board certified by the American Board of Plastic Surgery. But there are problems with those injection and laser treatments too. Sometimes referred to as “skin resurfacing,” laser treatments have been known to result in blistering that can cause permanent scarring. They have additionally been associated with infections and even permanent skin discolorations. 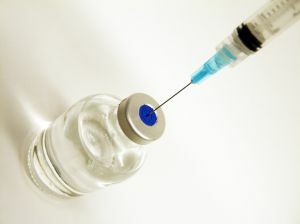 Botox injections, meanwhile, have been known to result in paralysis in some cases. There is also the possibility of an allergic reaction or botulinum poisoning. Either of these can result in severe complications, from respiratory and breathing trouble to paralysis. If you are a victim of Boston medical malpractice, call the Law Offices of Jeffrey S. Glassman for a free and confidential appointment — 1-888-367-2900.